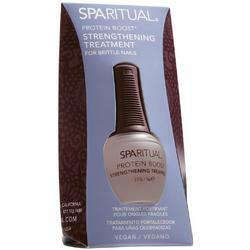 SpaRitual Protein Boost for Brittle Nails 0.5 oz. 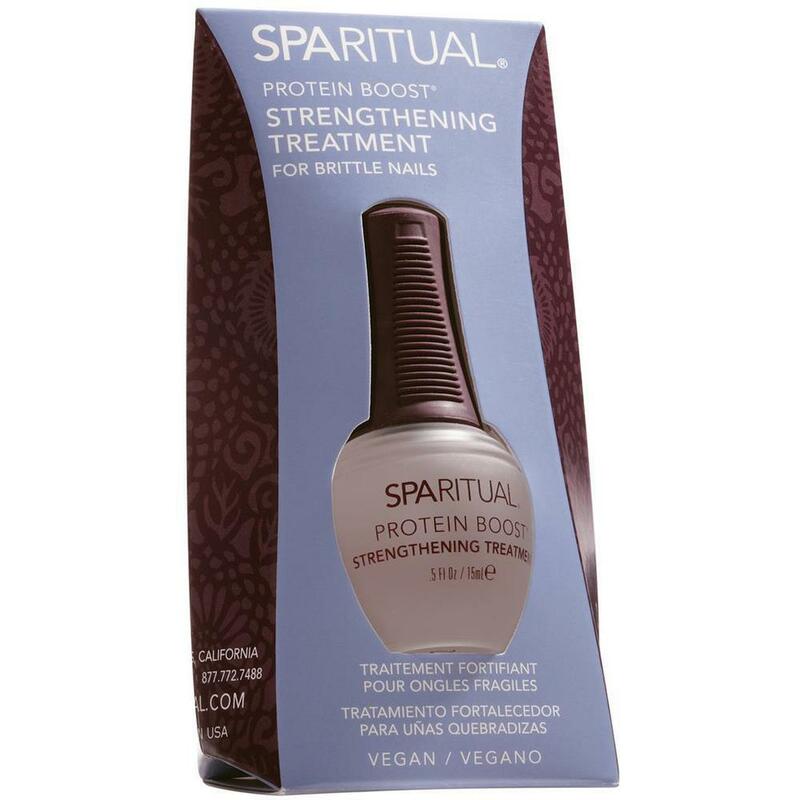 Provides a protein boost to help repair brittle nails. Binds nail layers, preventing splitting and peeling. Ethyl Acetate, Butyl Acetate, Nitrocellulose, Alcohol Denat. (SD Alcohol 40B), Heptane, Isopropyl Alcohol, Propyl Acetate, Adipic Acid/Neopentyl Glycol/Trimellitic Anhydride Copolymer, Ethyl Tosylamide, Trimethyl Pentanayl Diisobutyrate, Camphor, Benzophenone-1, Hydrolyzed Wheat Protein, Hydrolyzed Oat Protein, Phenoxyethanol, Polyvinyl Butyral, Calcium Pantothenate, Hydrolyzed Soy Protein, Cucumis Sativus (Cucumber) Fruit Extract, Water (Aqua/Eau), Carthamus Tinctorius (Safflower) Seed Oil, Ginkgo Biloba Leaf Extract, Tocopheryl Acetate, Opuntia Vulgaris Extract, Equisetum Hiemale (Horsetail) Leaf/Stem Extract, Melissa Officinalis (Balm Mint) Leaf/Stem Extract, Dimethicone, CI 60725 (Violet 2).